Kazuhiro Tsuji working on a sculpture of the famed underground cartoonist and satirist Robert Crumb. Pimentel’s film is one of four to be screened at a Japan House event on Jan. 17. On Thursday, Jan. 17, Japan House Los Angeles and Short Shorts Film Festival & Asia will showcase a collection of shorts in Hollywood. 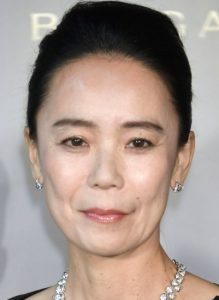 The free one-day film festival will bring together premier film talent from Japan, including Cannes Film Festival judge Naomi Kawase and actor and Screen Actors Guild member Tetsuya Bessho, at the historic TCL Chinese 6 Theatres. The two-part program aims to bring a sense of intrigue and cultural discovery to festival attendees through the art of short contemporary visual storytelling. The festival opens with the master class “The Possibilities of Film,” as celebrated Japanese female director Kawase presents her unique insight on the future of film and explores the short-film format. The class will be followed by a discussion with Akira Mizuta Lippit, vice dean and professor of USC’s School of Cinematic Arts and Division of Cinema and Media Studies. 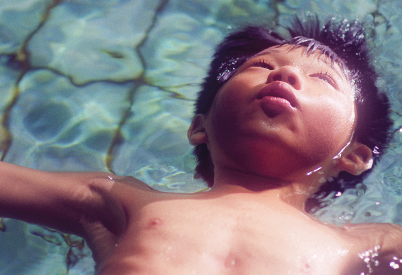 “Benjamin’s Last Day at Katong Swimming Complex” by Yee Wei Chai is among the films to be featured. “The Human Face” (2017) by Aline Pimentel, a multiple awardwinning short documentary about Kazuhiro Tsuji, the first person of Japanese and Asian descent to win the makeup and hairstyling Oscar at the 2018 Academy Awards. The film stars director Guillermo Del Toro, Tsuji, actor Gary Oldman (who was transformed into Winston Churchill for “Darkest Hour”), and artist Chet Zar. The program will be accompanied by introductions made by special guests representing respective films. in 2002, and Japan House Los Angeles is pleased to bring this festival back with its founder, Bessho, and the Consulate General of Japan in Los Angeles to provide an interactive platform to share Japanese culture through the form of short films. “Master Class with Naomi Kawase: The Possibilities of Film” runs from 1 to 2:30 p.m. at the TCL Chinese 6 Theatres at Hollywood & Highland, 6801 Hollywood Blvd., Level 3. The film screenings begin at 6:30 p.m. The festival is free to the public, but requires reservations. More information and reservation forms at www.japanhousela.com.